THSC invites you to grab a cup of coffee, jump on the treadmill or tackle that laundry that needs folding while you listen to these great workshops from our homeschool experts to help you answer many of the questions you have as well as some you might not have even thought of yet! Where do I get curriculum? Do I have to make bulletin boards? How do I teach several grades at once? Do I need to have lesson plans and give grades? Do I need a lawyer? What about socialization? Exactly what is the law in Texas concerning homeschooling? Tim and Lyndsay Lambert answer these questions and more with advice to new homeschoolers. Real people tips for keeping up with laundry, meals and cleaning while homeschooling and still having a life. Are you unsure or doubtful about your ability to do this? Do you need help to know how to feel empowered and equipped to homeschool your child? These are the exact words that Roxanne said when first contemplating her homeschooling option. She will share how the Lord helped redeem her fears and delivered more than she could have imagined in this often difficult journey. Join Mary for an explanation of the most popular teaching methodologies (textbook, living book, unit studies, classical and unschooling). She shares great tips on many popular curriculum providers and what they offer. Thank you for listening to these workshops. Whether you are considering homeschooling or you just hit a bump in the road, our hope is that you feel more equipped and less overwhelmed when it comes to homeschooling! 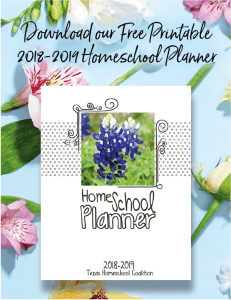 Did you know that THSC offers valuable membership benefits to help you manage and protect your homeschool when challenges arise from those who don’t understand the amazing freedoms for Texas homeschool families? We believe that raising children is a family’s God-given right and calling. Don’t wait! Some benefits (including Child Protective Services legal counsel) and other legal assistance and advocacy benefits are not retroactive. Don’t wait to join THSC!